I’ll be completely honest with you. 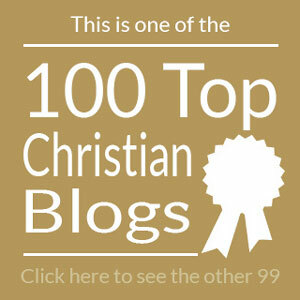 Today, I don’t feel like a person who ought to be writing a blog representing Jesus. Here’s one: I had to pay a visit to a children’s hospital in Providence today. For all the boldness I display when I write about faith, I’m a nervous old woman driving “into the city.” Sure, I can face down challengers to my faith, but put me into unfamiliar traffic patterns and I’m quivering like a Jello salad at a Baptist pot-luck. Having driven there recently, I was confident I knew what to do but when I arrived at the parking garage, the turnstile was up and no matter how often I pressed the button, no ticket appeared. I felt the pressure as the line behind me grew, so I pulled in, but all at once realized I was now in the parking garage area with no ticket to get myself out. Of course, there are no humans in the parking booths. So, this bold woman of faith kind of flipped out. Doing an immediate U-turn, I pulled into the exit line. Parking in this garage is free for the first 30 minutes and I’d only been in the entry way for five, so I knew I didn’t owe a dime. When the turnstile lifted for the car in front of me, I hit the gas and sped through on his tail. The turnstile almost hit me on its way down, but I escaped and found a spot in the next parking garage with a working ticket meter. This is me. There are moments I feel full of the Holy Spirit. The way before me is clear. Words fall into place and I can navigate spiritual deep-water. How in the world did God entrust the furthering of His Kingdom and the spread of the gospel to people like me? On the way into work, I listened to Luke 9 on CD in my car. Talk about a wild ride of a chapter! First, Jesus gives his apostles power and authority over demons and diseases. Like, wow! Heady stuff for fishermen and former tax collectors! Their activity catches the attention of Herod, who has only recently beheaded John the Baptist. Not attention the disciples wanted, I’m sure. A bit more nerve-wracking than traffic. Then, Jesus feeds the five thousand. The apostles’ minds must have been spinning. Suddenly, then, Jesus is asking them who they think He is and talking about His upcoming death, warning them that to follow Him means taking up their own crosses. Which is it, Jesus? Miracles or death? Victory over demons or the way of the cross? I can’t imagine the whispered conversations they must have been having around the fire at night. One verse later, Peter, John, and James witness the Transfiguration. Privileged and humbled, they must have been. But not long after, they’re arguing about who among them is the greatest. There are always meltdowns among the miracles. Some days we’re exercising authority over demons and diseases, but the next moment we’re praying for strength to diet and exercise our own lazy limbs. One moment we’re praising and proclaiming Jesus, the next we’re panicking in a parking garage. This is us. The people of His own choosing. I wouldn’t have picked us to use to build the church, but who am I? He is all. And He knows that working through us is all the more evidence that He deserves the glory. Truth is, I’m not a person who ought to be writing a blog about Jesus, but He chose to use me this way anyhow. And if you follow Him, He’s choosing to use you, too, in the lives of the people around you. Truth is, left to my own, I would have selfishly squandered my life, spent it entirely on me. But Jesus invited me into His adventure and lets me join in along the way, despite the many times I fail. We need to stop searching for heroes. We need to stop trying to be heroes or waiting for our own perfection to emerge before we step out in His name. We must be willing to be panicked bumblers following Jesus because there are miracles waiting amidst the meltdowns. What song does He sing over you tonight? Do you trust His Word that He rejoices over you with gladness? Will you let Him quiet you with His love? This is His story, after all, and He invites us along. What an incredible God we serve, yes? I just came home from a women’s prayer group my daughter and I have recently been led to start at our church. It has been going quite well, much to our surprise the women keep coming back each week and even bringing friends. Tonight I came home feeling low and woefully inadequate…. questioning myself. Who did I dare think I was to attempt this… i know who i am and what I lack. And then i gave my email a quick glance before bed. And find your humble all too truthful words…. thank you my friend. I really needed to hear this tonight….thank you for being honest in your writing and faithful to what God has called you to do. Yes. If God collects tears in a bottle, I wonder if He has a big rubber room in heaven for my meltdowns. Thank you for reminding me it’s so not about our performance or worthiness or power… That is the very hope of our salvation. We couldn’t do it. I know I can’t. Blessings and shalom—nothing missing and nothing lacking. Panicked bumbler in attendance! But I beg to differ that you’re not “all that” *wink* — and yet, I totally get it. My jello has quivered more than once but Zephaniah 3:17 is a go-to verse to calm me. Thank you for your transparency, Lori. P.S. I’m already beginning to miss you at Blue Ridge. Lori, thank you for the reality of life that you share with us . Your words are encouraging and remind us that God is still at work in our lives . So thankful we have a Great High Priest who understands our weaknesses and ever lives to make intercession for us – even through our meltdowns! Oh, how I love what you said here. I, too, am a city-traffic-and-parking-garage-freaker, but I love Jesus! I know he’s using me to bless others, and in fact used the Zephaniah 3 passage to encourage a few of my mutual encouragers a few days ago. It’s one of my favorite passages – so beautiful, calming and empowering. I shall muddle through, only with the Lifter of my head going before me and all around me … Thanks for the things you write. Every time I read, I’m nodding my head yes. Amen!! We all stand amazed at His goodness to us His children. As I read your blog post Psalm 103:14 came to my mind. Many, many years ago the Lord began growing me by having me teach Jr. Hi girls….I had a lovely older lady who was my spiritual mother. We also became prayer partners. When I would call her crying I was unable to teach the girls God’s Word properly she would give me Psalm 103:14….always saying “He knows you are dust dear, His Spirit will teach and guide you”. :0) Thank you for your honesty….we all can identify. Dearest Lori, please receive deep in your own topsy-turvy heart, that God used you to speak tender, encouraging, affirming, and timely words personally to me. May you experience that precious supernatural moment of joy as I just have, and may God be glorified! Your honest portrayal of the struggle, yet hope-filled confidence in His power to love through you are such an inspiration and comfort to me! How do you read my mind? You rock! Keep on writing. It is an encouragement. Thanks. I started the year planning some big steps, confident I was following the Lord. Now I look at what I’m planning and think, “How could I have thought I could do that?” The truth is I can’t, and this was the perfect reminder that He shows his strength through my weekness. He includes us in His adventure in spite of the fact that we wouldn’t trust people like us. Thanks for the encouragement. Thanks for another great message, Lori. It really struck home with me because I have a real fear of parking garages. On more than one occasion I have panicked because I couldn’t find my way out. One time that this happened, I was alone in unfamiliar territory, driving my son’s car. For some reason He entrusted me with this fancy, sporty car of his (standard transmission, too). I kept going in circles and crying all the while. There was no one to call for help. What saved me that day was when I finally saw someone who was leaving the garage, so I followed them out! Thanks for your encouraging words about how Jesus still rejoices over me even with all my blundering and lack of faith.